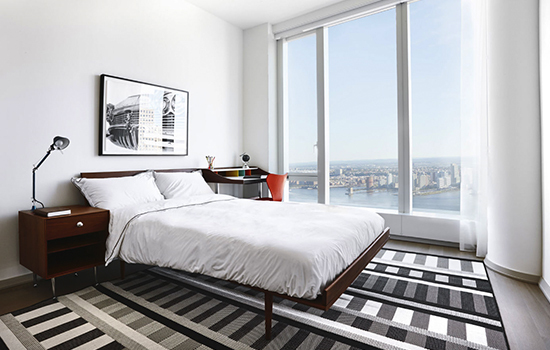 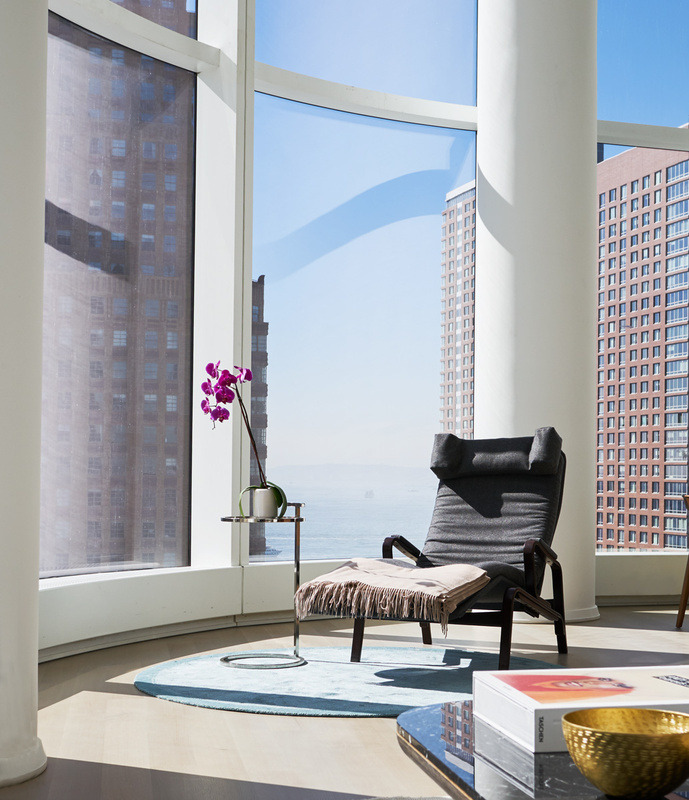 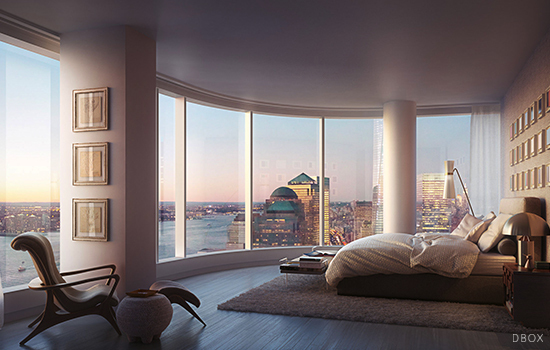 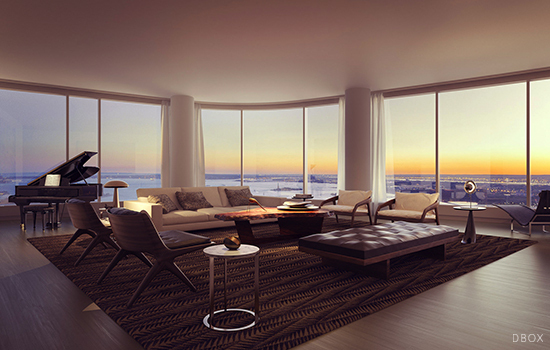 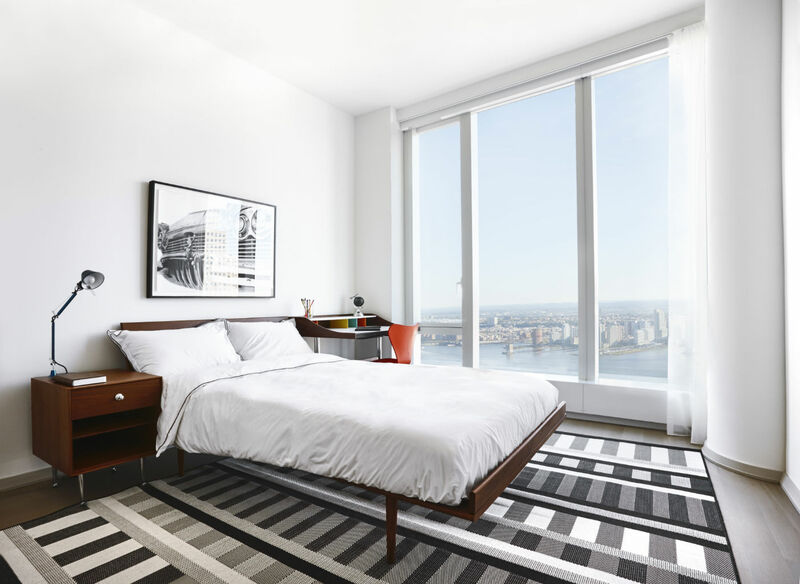 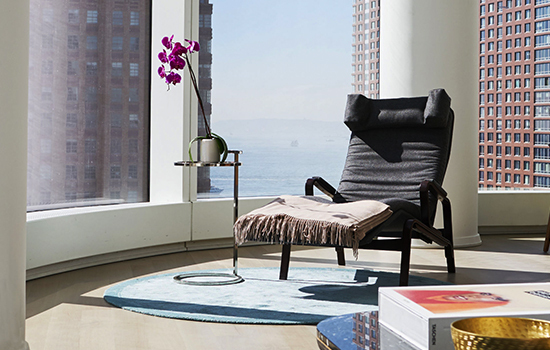 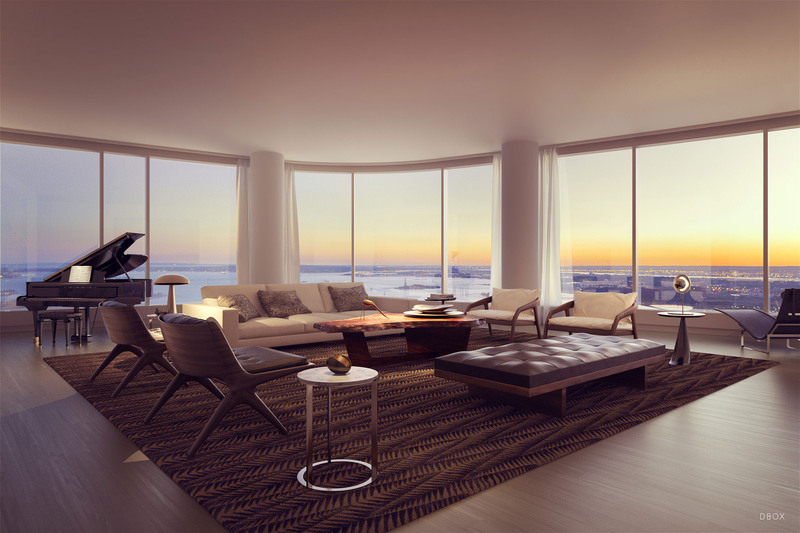 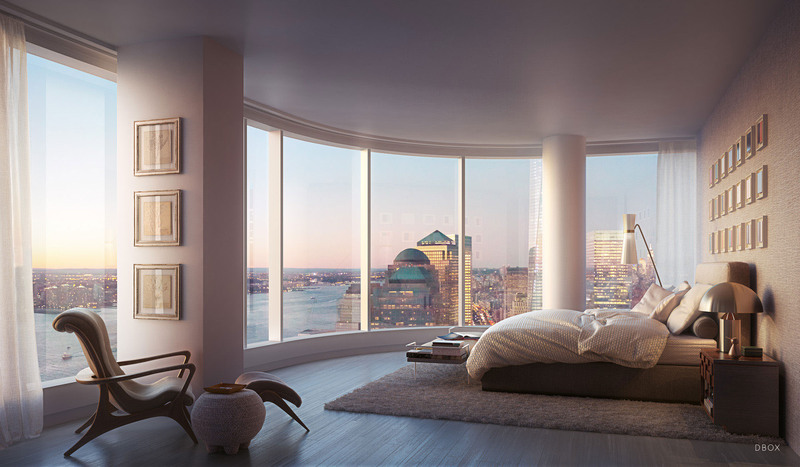 Expansive glass windows provide the residences with unparalleled views and light. 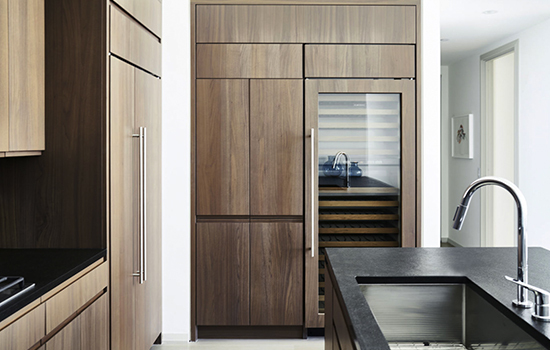 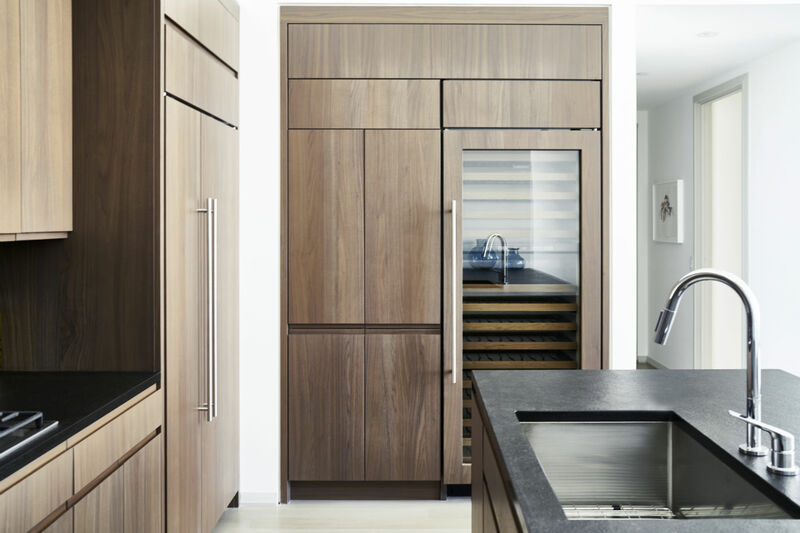 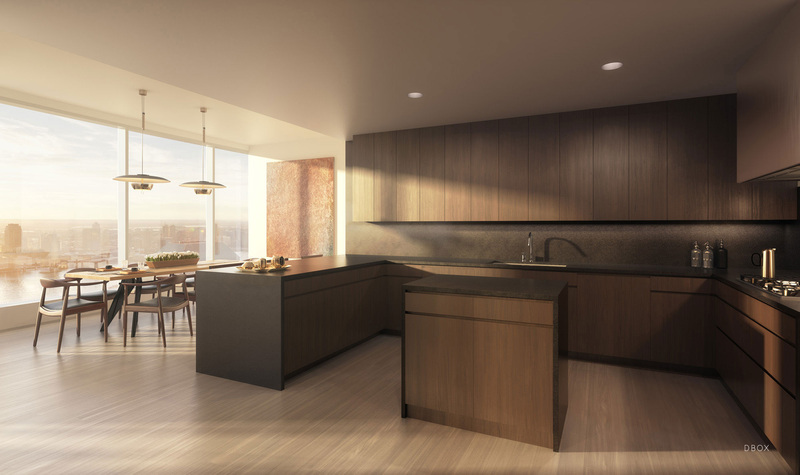 The spacious kitchens outfitted with Miele and Sub-Zero appliances are finished in stained walnut panels and granite slabs. 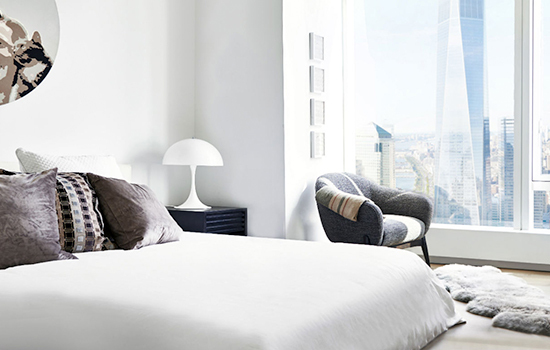 Bedrooms feature generous closets and en-suite bathrooms. 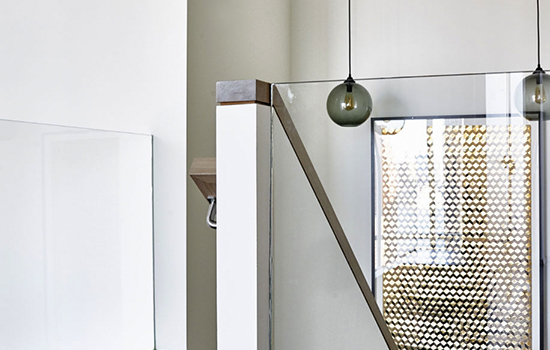 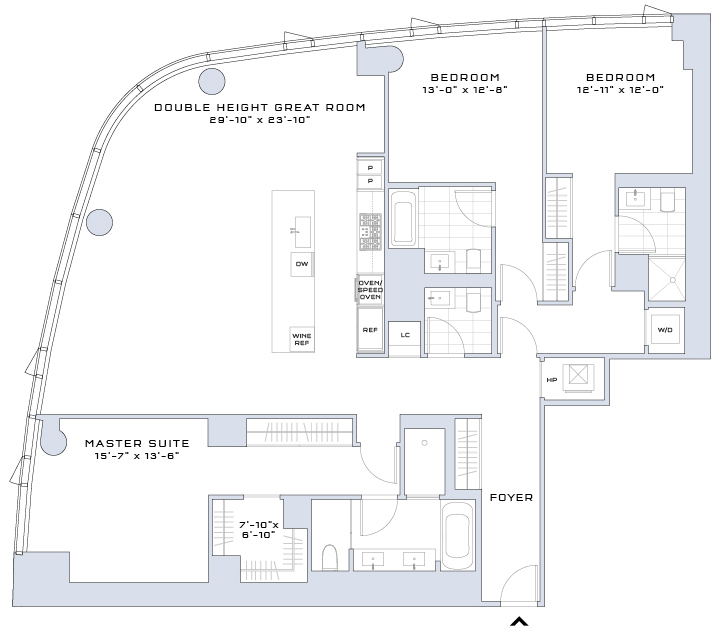 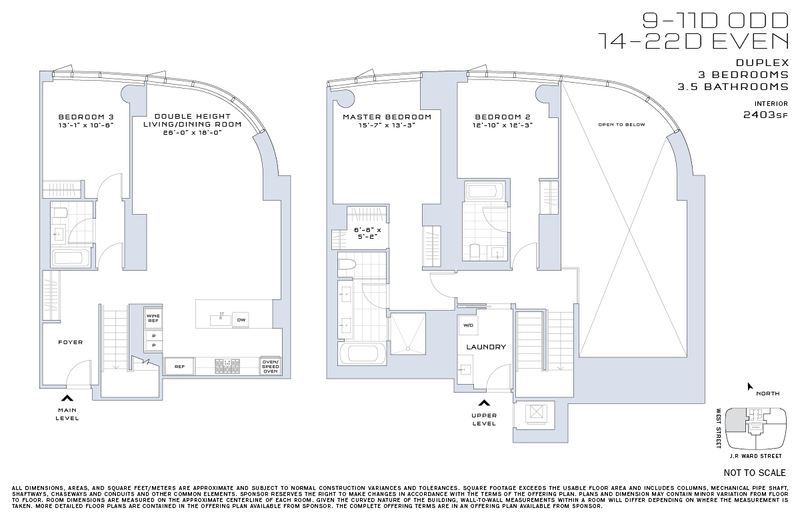 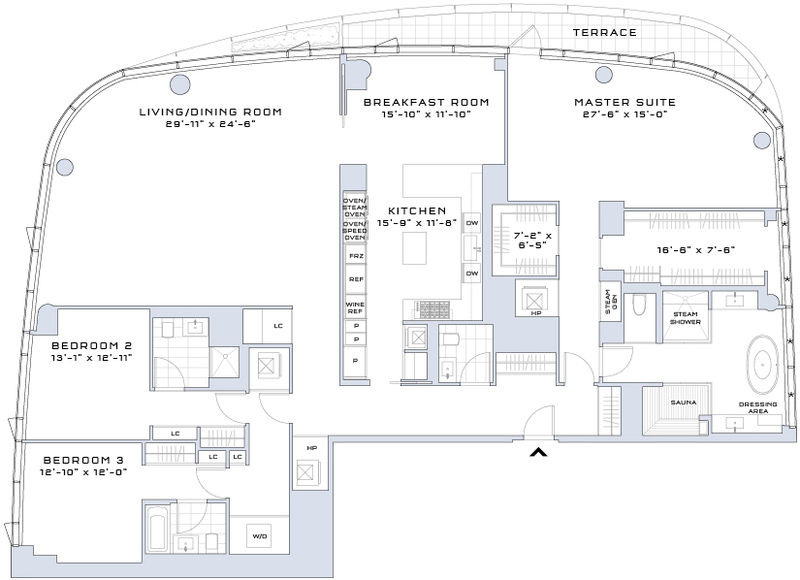 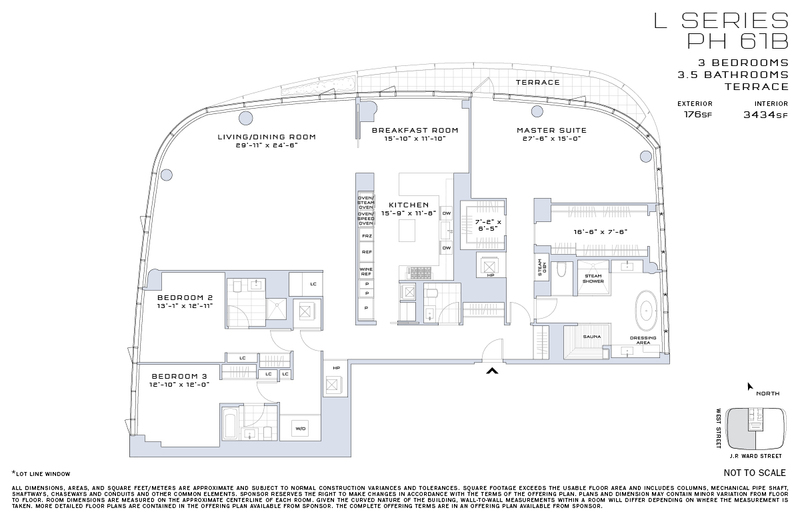 The double height duplex residences offer a lofted second floor with a Master bedroom and bathroom, as well as a bedroom with an en-suite bathroom. 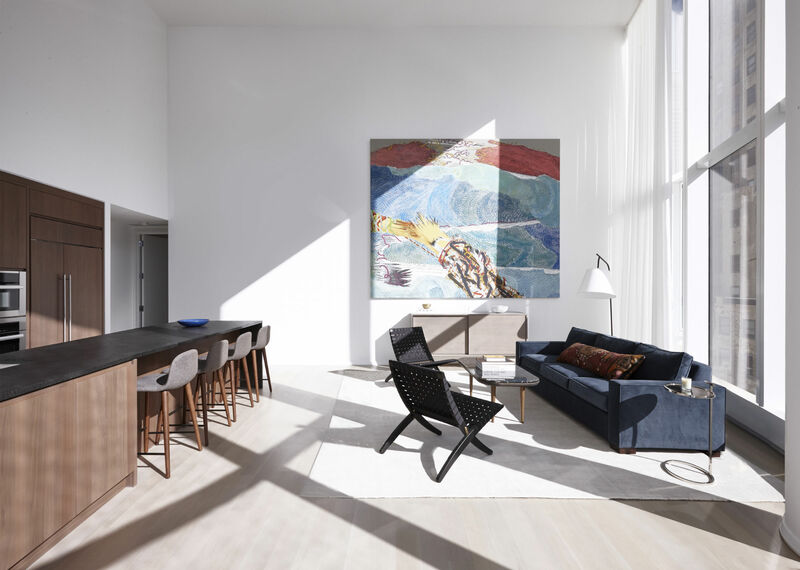 These duplexes also feature the same 20-foot double height living rooms and wraparound vistas in the first floor living space. 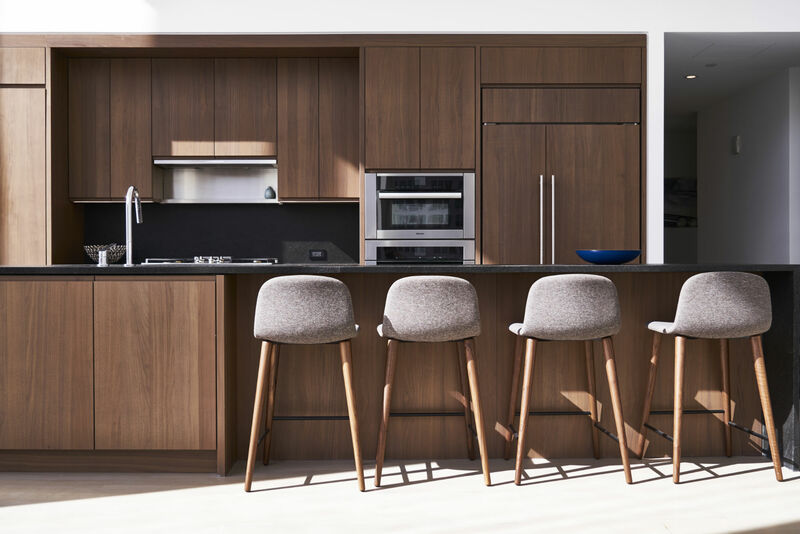 The spacious kitchens outfitted with Miele and Sub-Zero appliances, are finished in stained walnut panels and granite slabs. 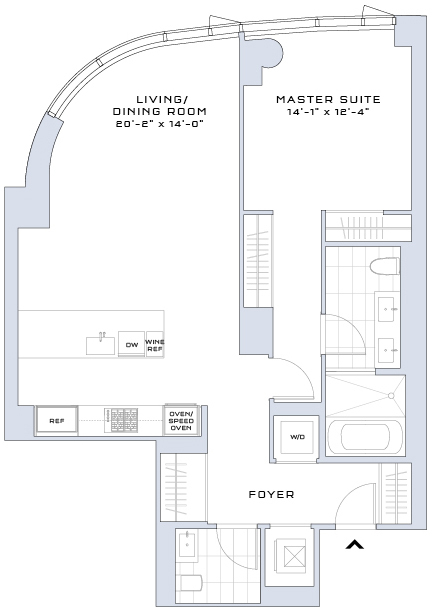 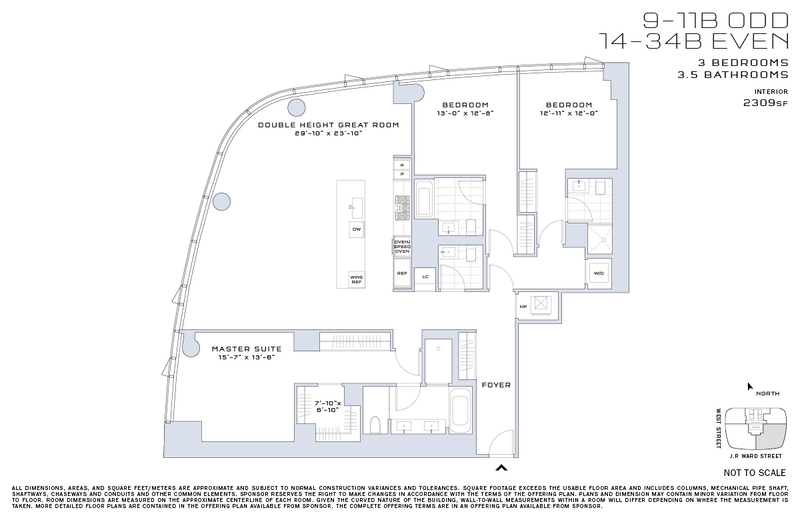 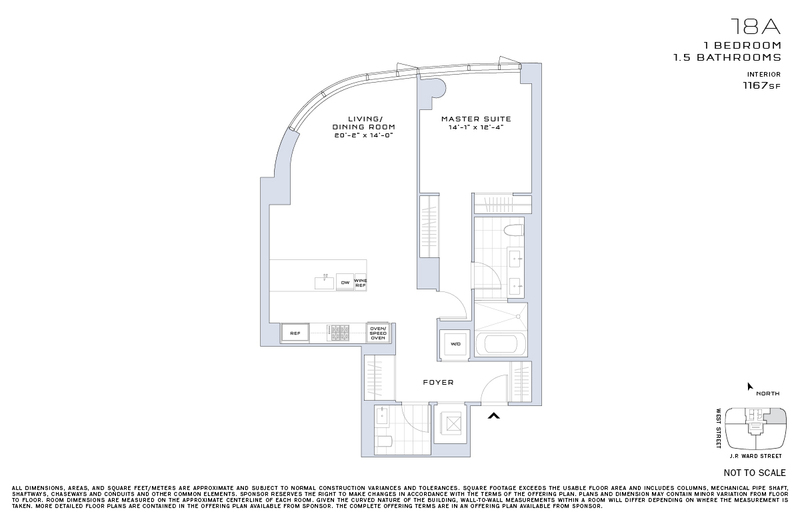 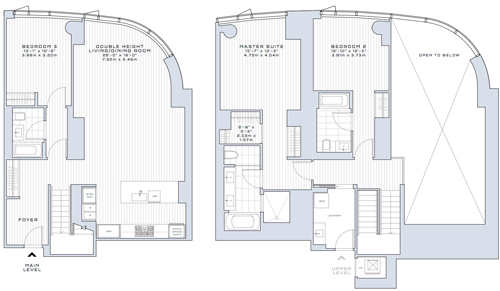 All three bedrooms feature generous closets and en-suite bathrooms. 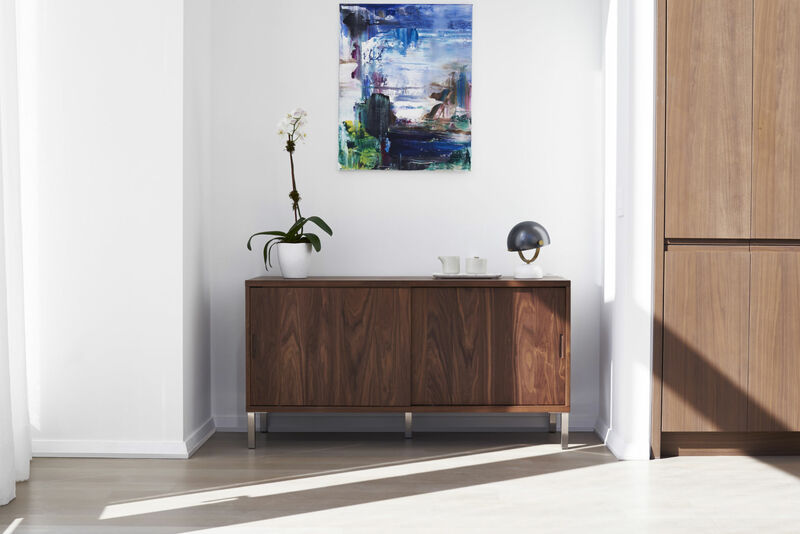 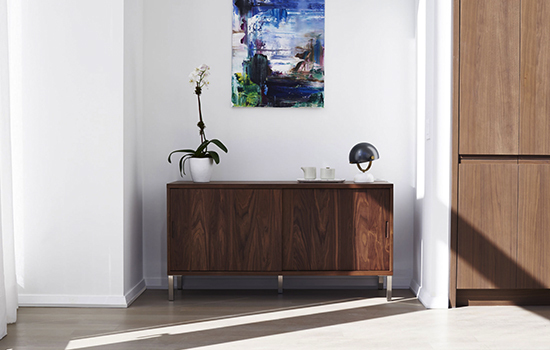 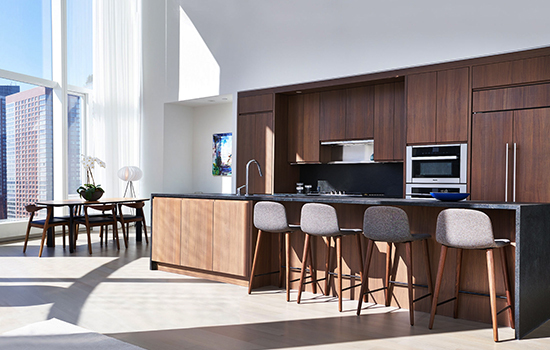 The gracious entry foyer leads to an open kitchen with custom stained walnut cabinetry, granite countertops, and a built-in dining banquette (in select one bedroom homes). 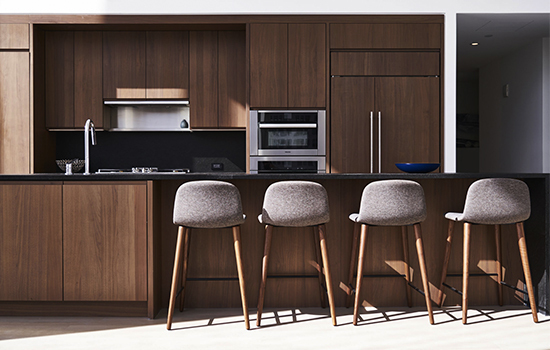 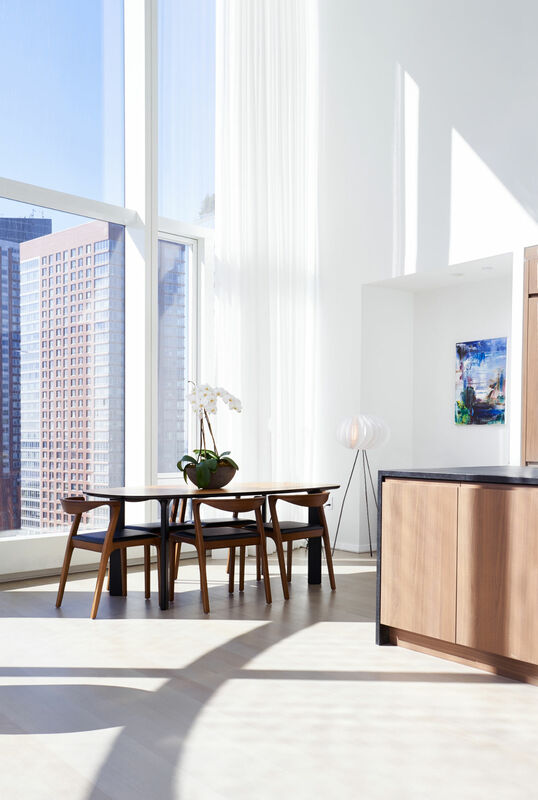 First-in-class appliances from Miele and Sub-Zero include a convection oven and gas cooktop, refrigerator, freezer, wine refrigerator, dishwasher and a range hood that vents directly to the outside. 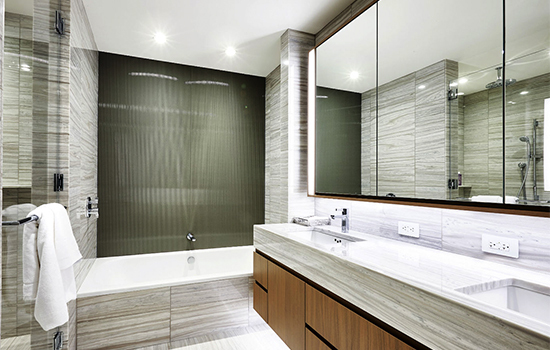 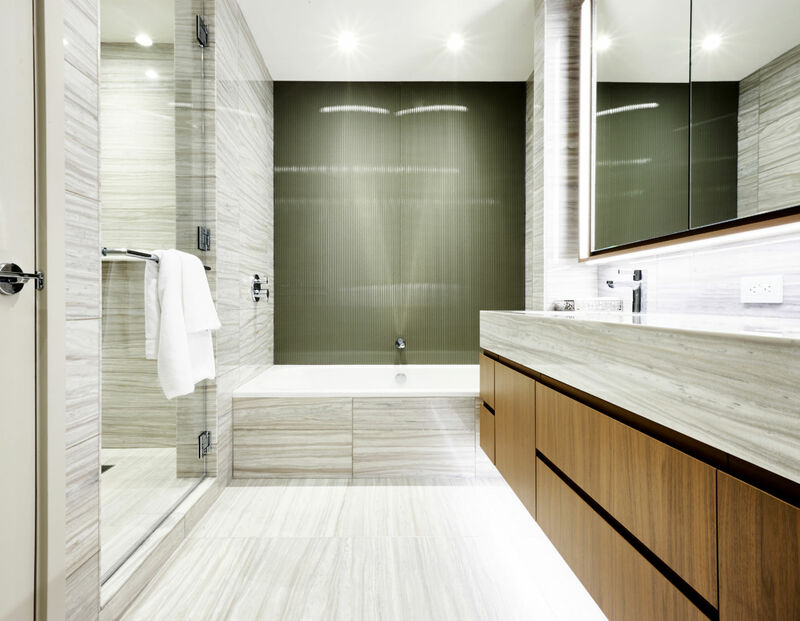 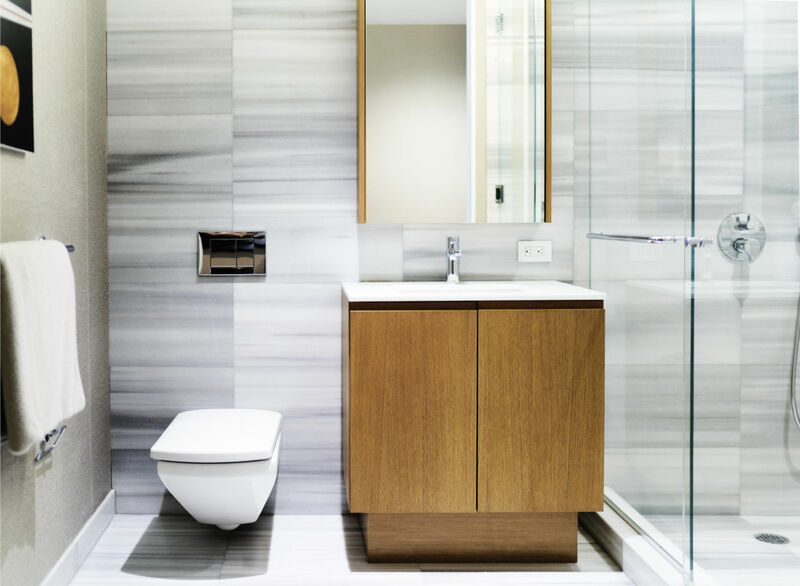 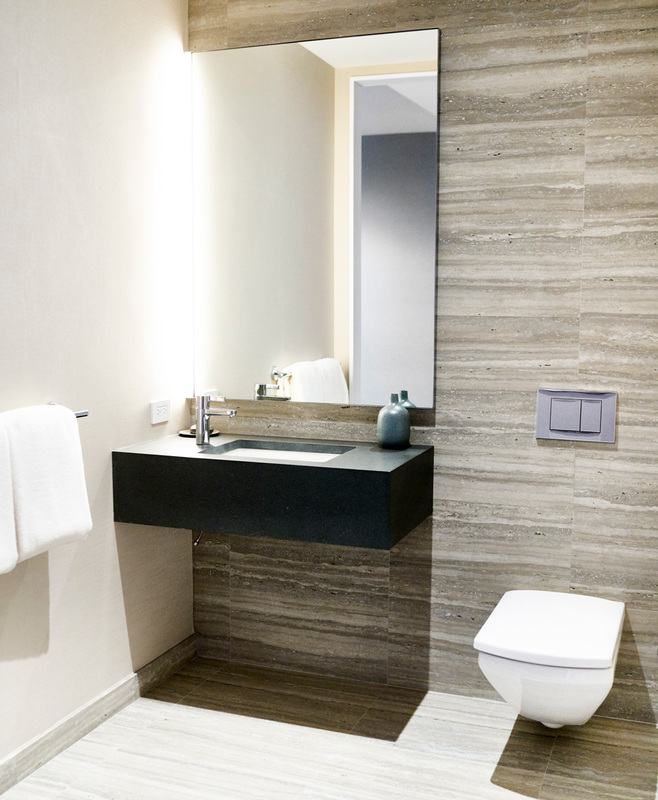 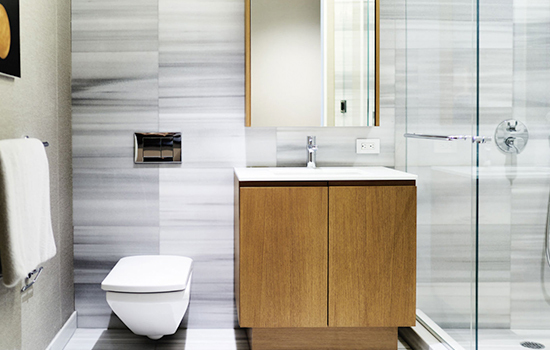 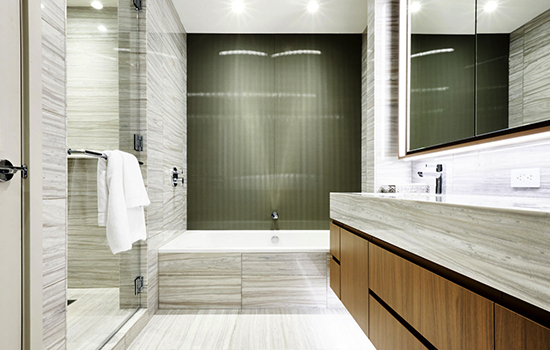 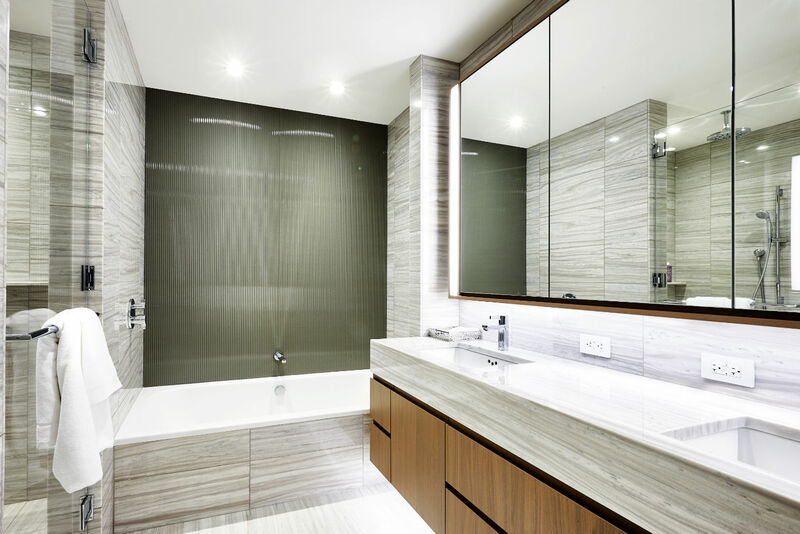 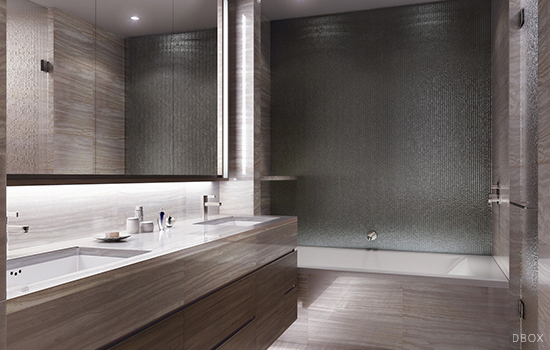 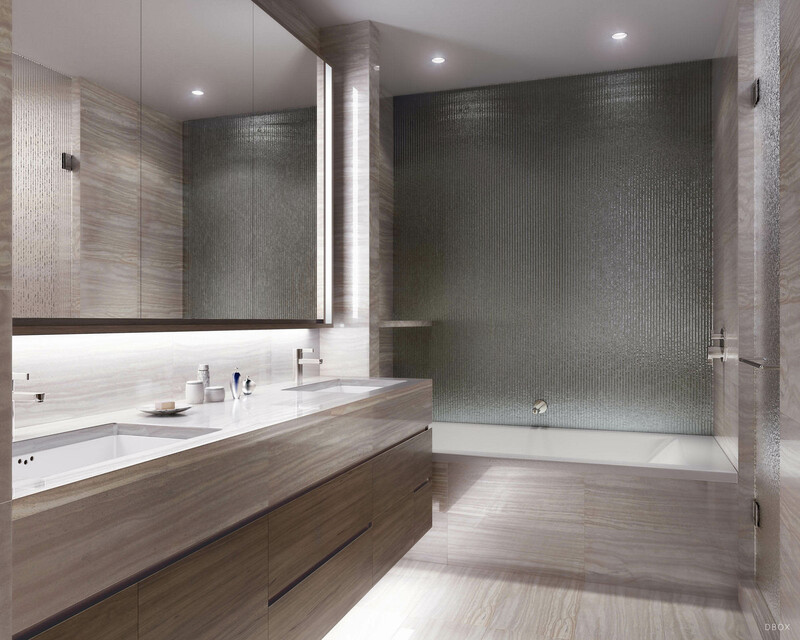 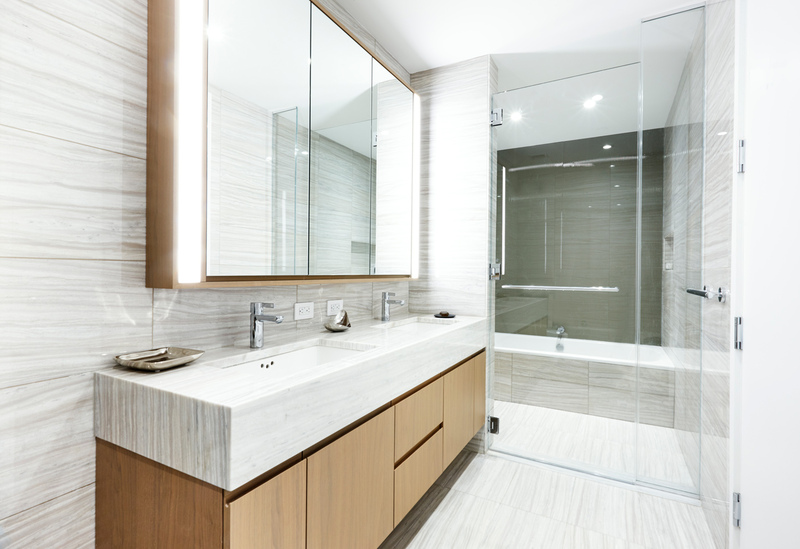 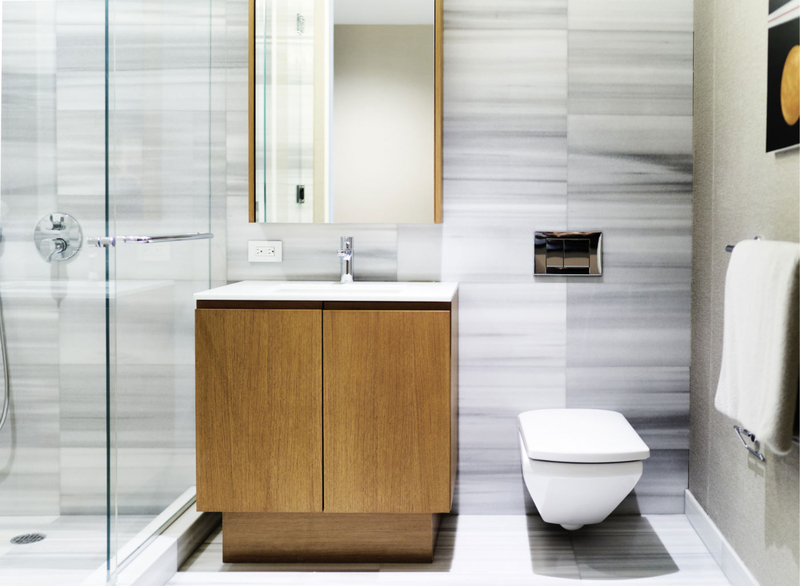 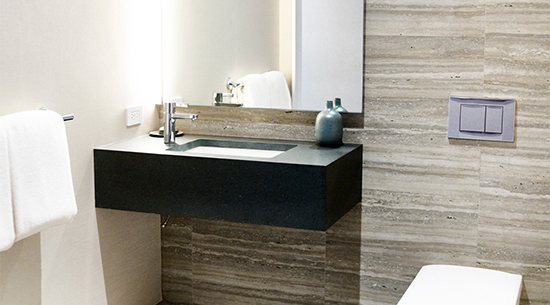 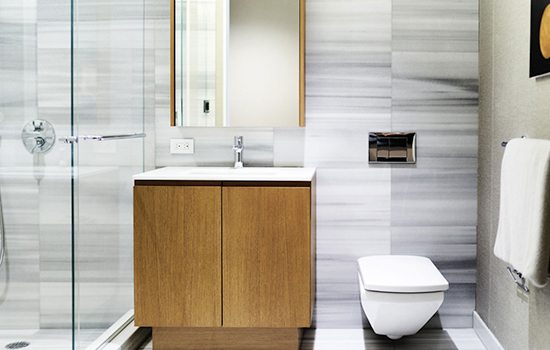 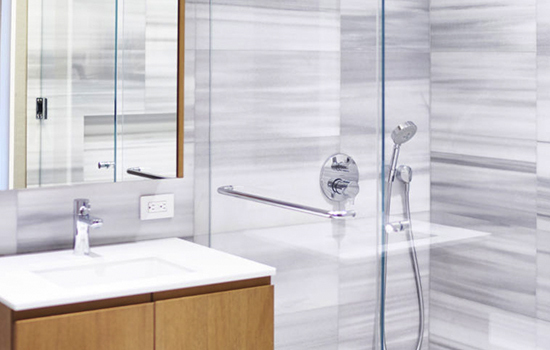 Luxurious master bathrooms features a floating backlit marble vanity, Hansgrohe polished chrome fixtures, an electronic Toto toilet with built-in bidet and radiant floor heating. 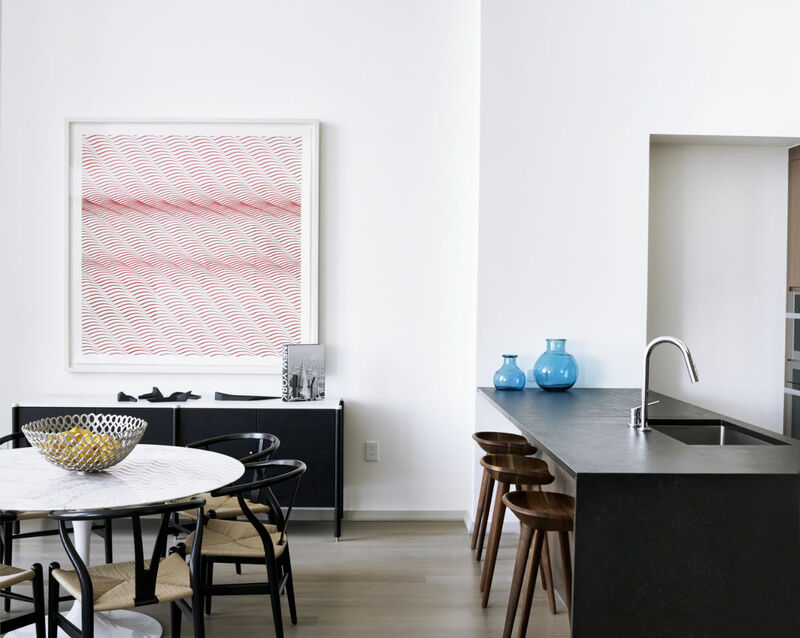 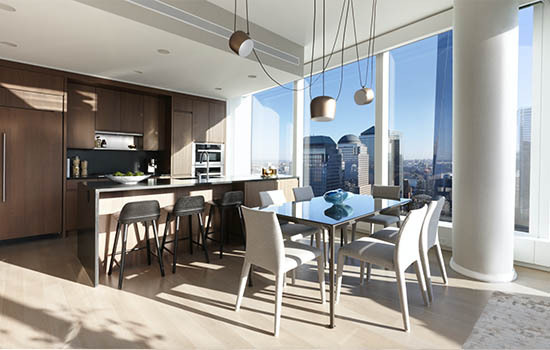 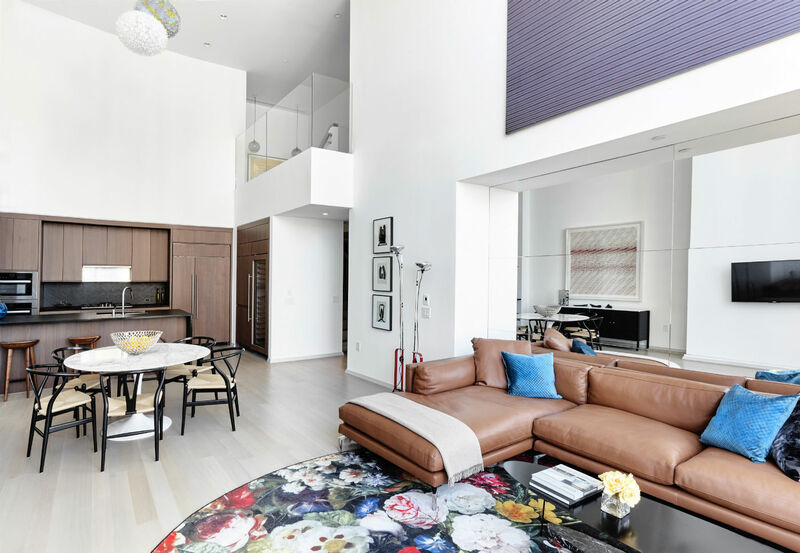 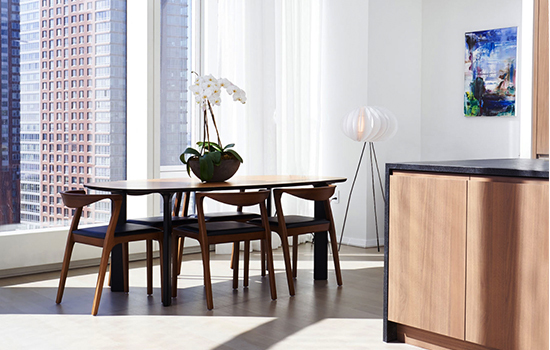 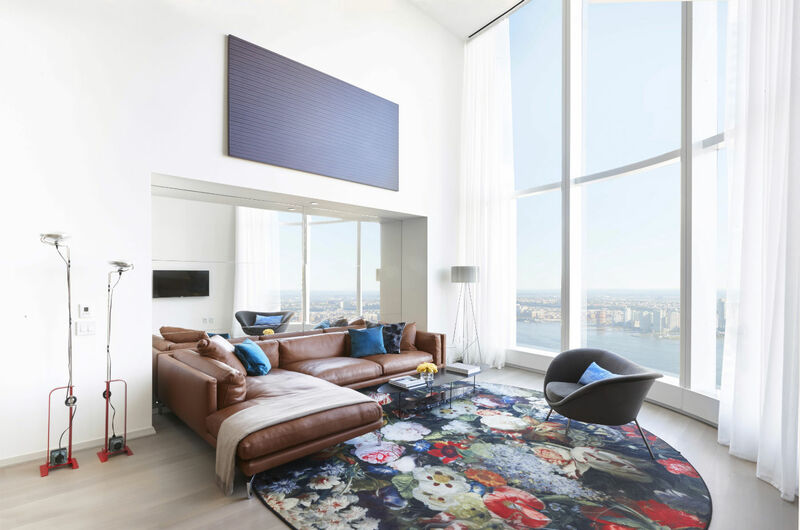 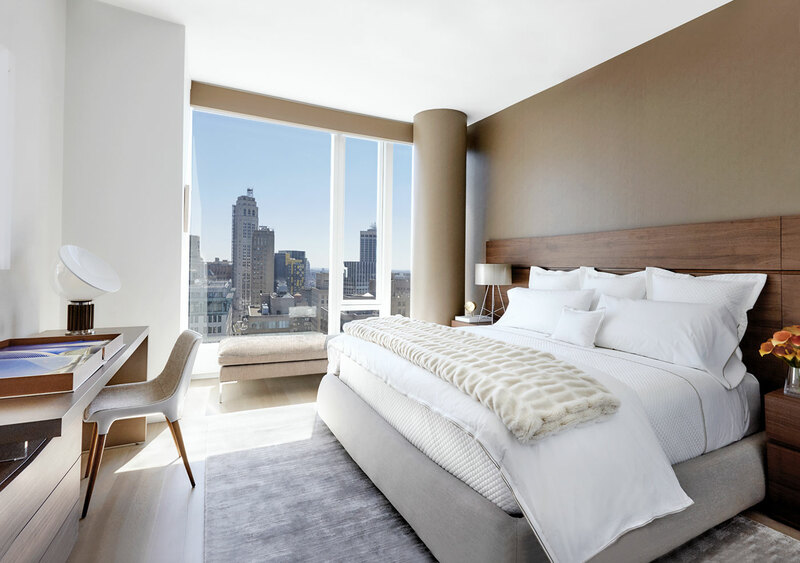 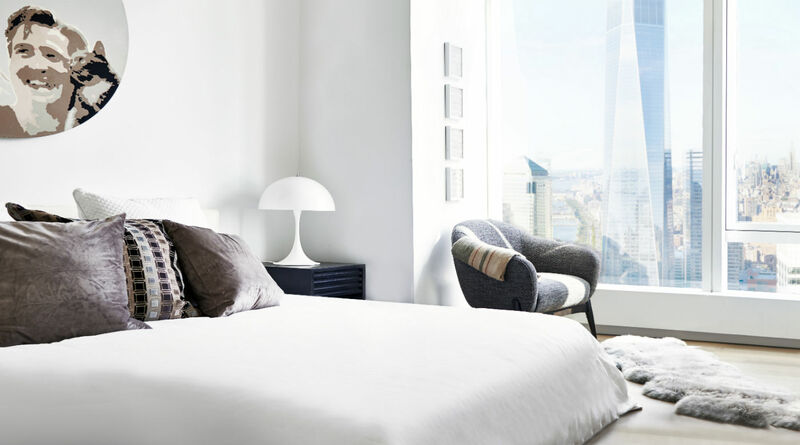 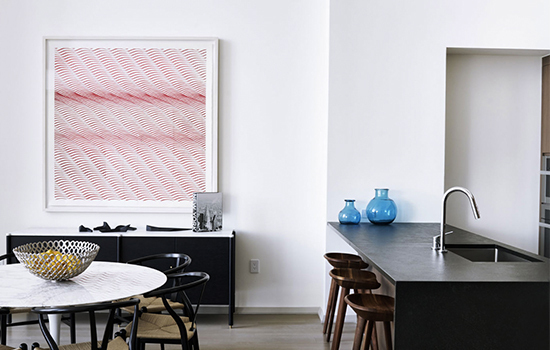 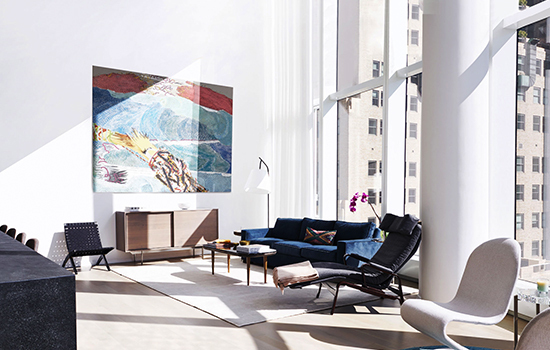 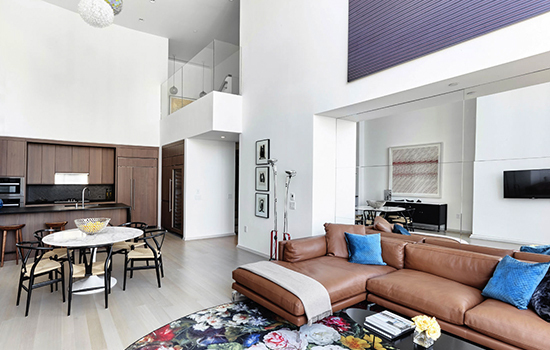 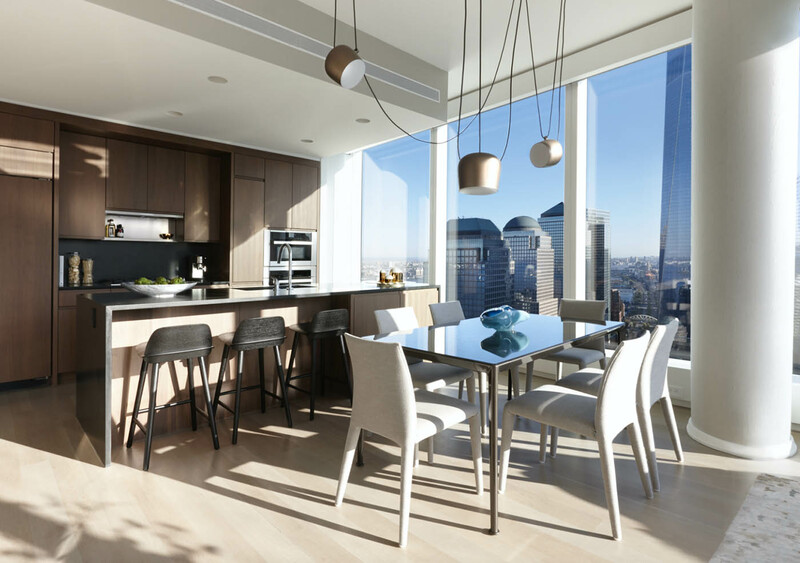 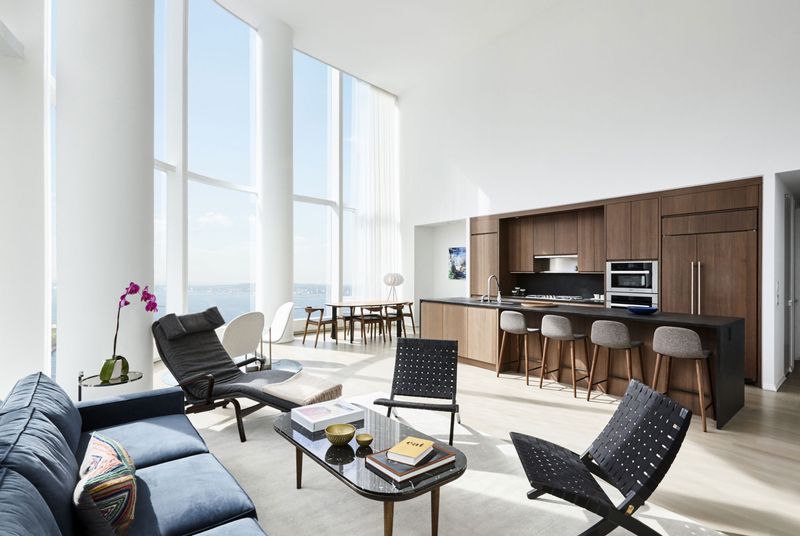 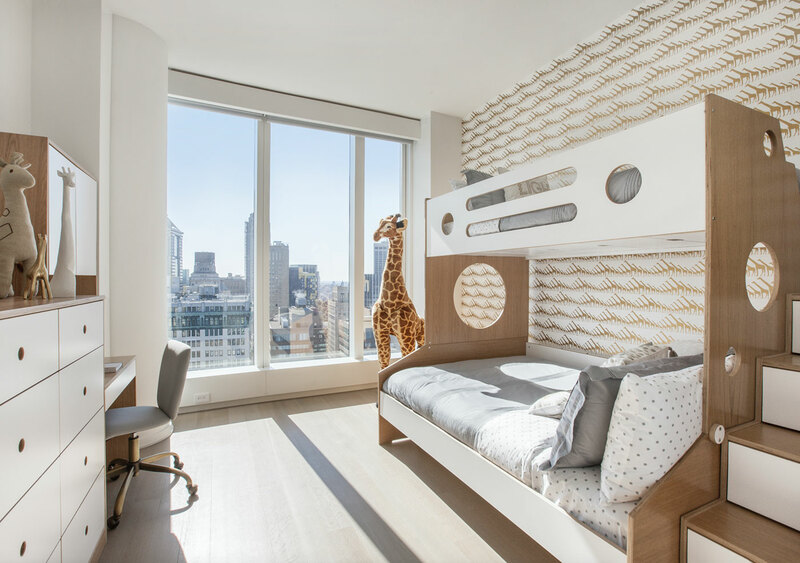 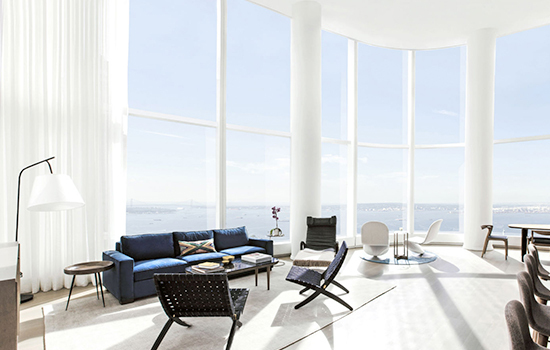 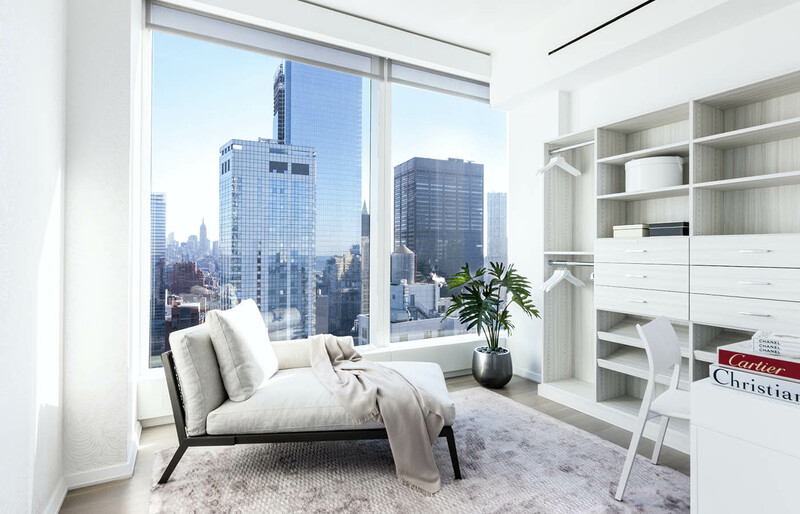 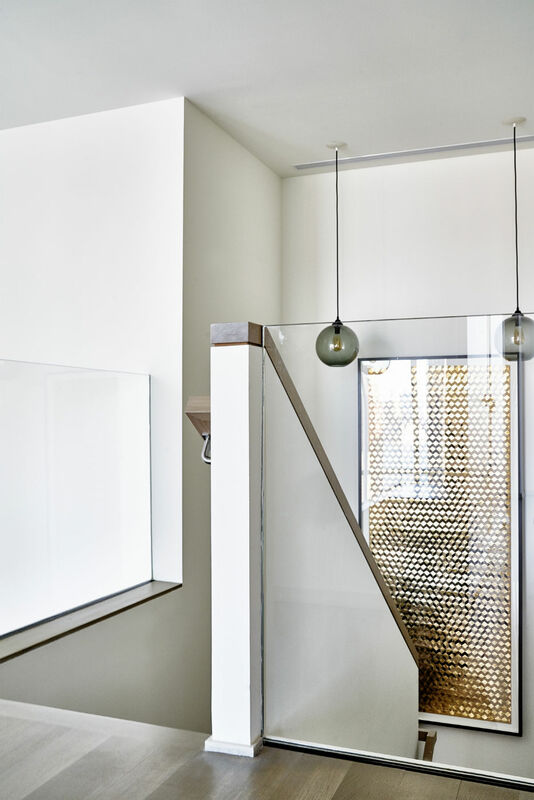 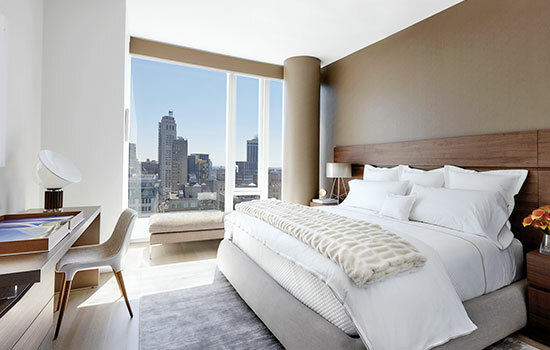 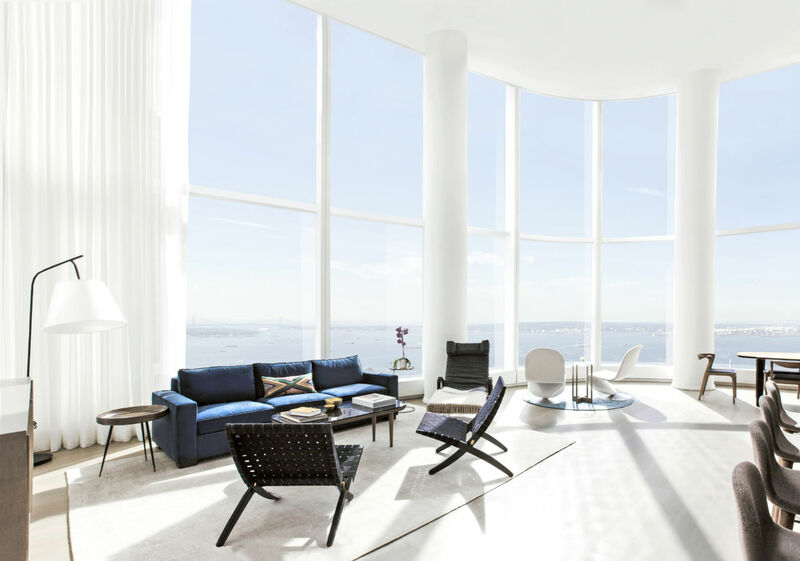 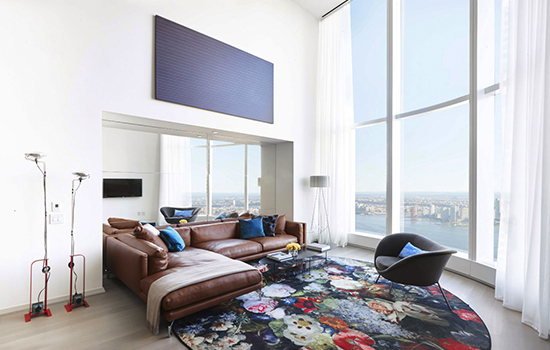 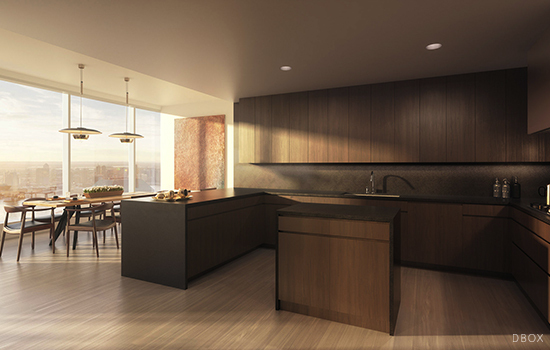 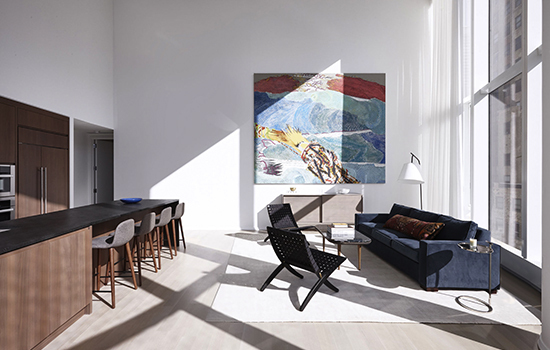 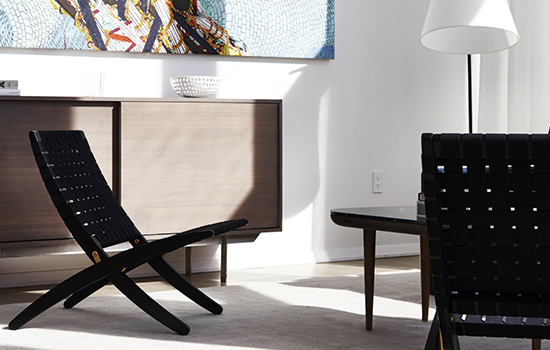 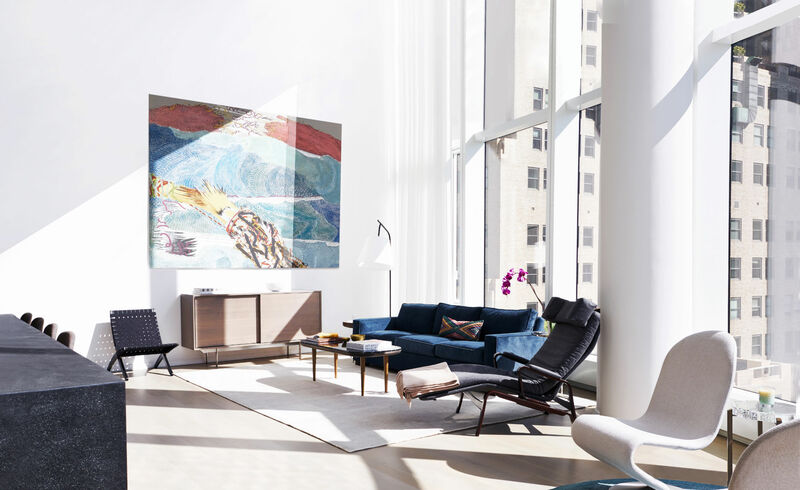 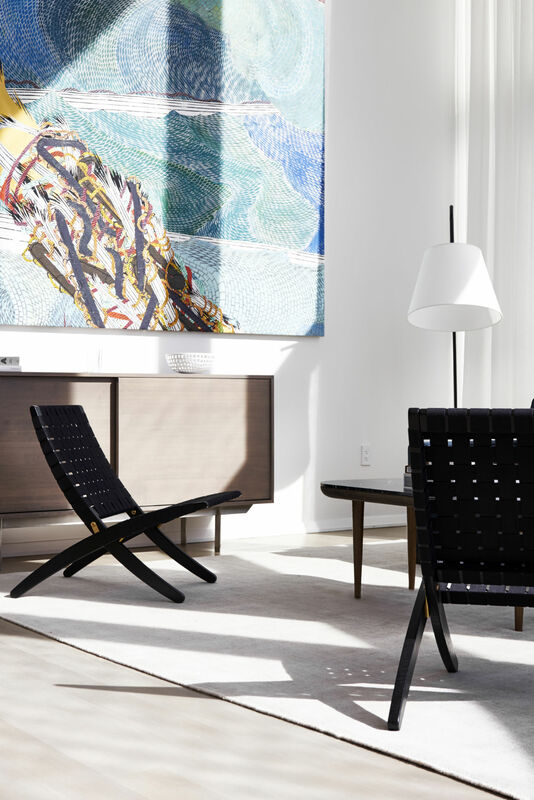 The L-Series, a collection of 50 West Street's most remarkable penthouse, full, and half floor residences, offers an impressive array of additional features. 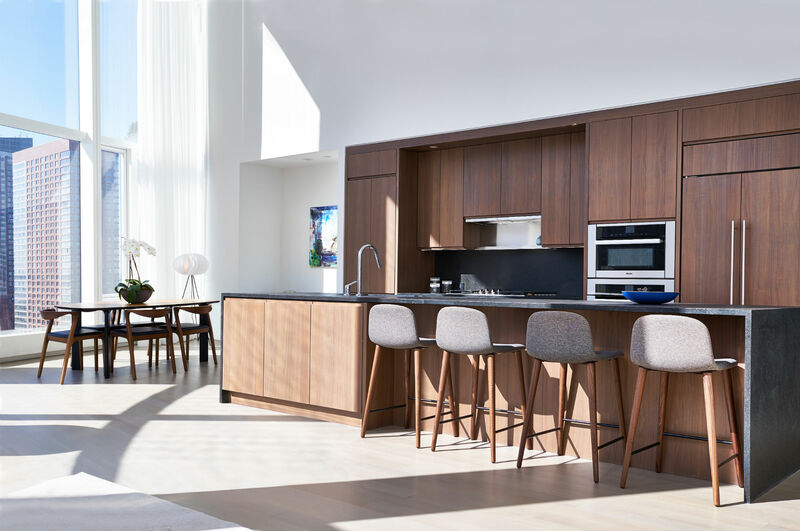 The kitchens, furnished with stone slab countertops and backsplashes, are equipped with extra-spacious refrigerators and freezers, a six burner stove, and a full-height wine refrigerator. 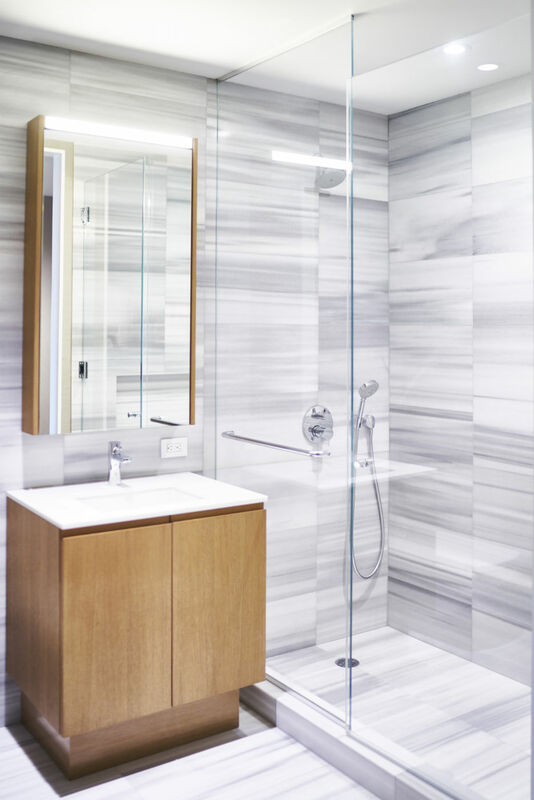 The elegant bathrooms are enhanced by marble stone slab, radiant floor heating, a freestanding tub, benched steam shower, and sauna.